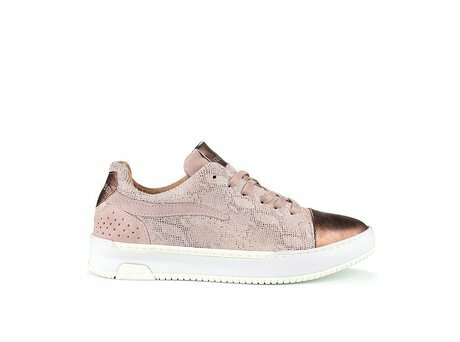 The soft leather and the smooth lightweight white sole give this Rehab Tascha shoe a rugged clean look and feel. 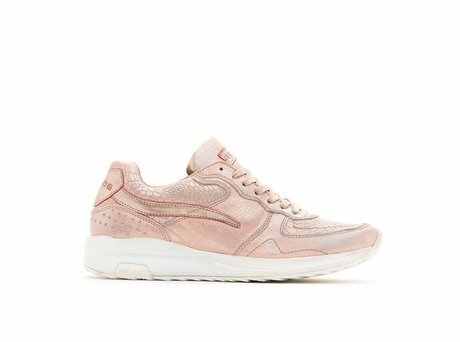 Clean women’s sneaker in old pink of soft washed naturally tanned nubuck combined with a patent nose cap. The soft nubuck and the smooth lightweight white sole give this shoe a rugged clean look and feel. The trademark REHAB ‘snake’ on the side of the shoe gives this sneaker even more identity. The perfect fit makes your REHAB sneakers extra comfy all day long. Try them on once and never take ‘m off. Ontvang direct een e-mail zodra de REHAB TASCHA II FANTASY OLD PINK op voorraad is in jouw maat.